ImagoChicago, Imago Relationship Therapy of Michigan, and Imago Therapists of Indiana warmly invite you to join us for the Imago Midwest Regional Conference. Steven Stosny, PhD, is the founder of CompassionPower. A renowned author and media consultant on relationships, anger, and abuse, Dr. Stosny grew up in a violent home. He learned the healing power of compassion from his abused mother. Dr. Stosny has appeared on many TV and radio shows, including several guest appearances on the Oprah Winfrey Show. He has been the subject of interviews in national newspapers and magazines, including The New York Times, Wall Street Journal, USA Today, The Washington Post, Esquire, O Magazine, U.S. News & World Report. A consultant in family violence for the Prince George’s County Circuit and District courts, as well as for several mental health and driving safety agencies in Maryland and Virginia, he has served as an expert witness in criminal and civil trials. He has treated more than 6,000 clients with various forms of anger, abuse, and violence. His blog on Psychologytoday.com has had over 11 million views. 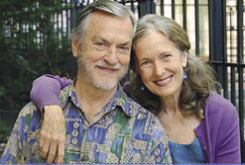 Harville Hendrix, Ph.D. and Helen LaKelly Hunt, Ph.D believe that how we interact with each other, in all our contexts—family, workplace, schools, etc.—is the key to our emotional, physical and economic well being and to the well being of our children and society. They vision the possibility of shifting from the age of the individual to the age of relationship; when “relationship" rather than the “individual" will be the primary value system of culture. To make relational information and skills available to everyone, they co-initiated Imago Relationships International as a training institute for couples therapists, Relationships First as a collaborative mission to change the cultural value system, and Safe Conversations® as an experiment to raise the joy index of a whole city. From an Ivy League education to Wall street to fame and fortune as a MTV Rap star, at some point along Nimo's journey he realized that he was walking a path of suffering and that the only path to light was through selfless service to others and his own internal purification. For the past seven and a half years Nimo has been serving and working with the underprivileged communities in the Gandhi Ashram in India. 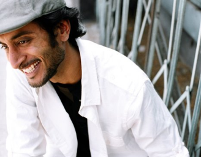 Most recently Nimo has reconnected to his roots of music and is offering this gift of love, peace and oneness through his songs: an offering he calls "Empty Hands Music". Nimo chose the title 'Empty Hands', because of the profound wisdom we all can gain when we understand this deeper truth: that we arrive on this planet empty handed and we will all soon leave empty handed. So then, how and in what spirit do we want to spend the time in between? Enjoy the video below of Grateful: A Love Song to the World and download his album for free here: http://www.emptyhandsmusic.org/album-gift-for-all.